TORONTO, December 12, 2012 — The National Hockey League Players' Association (NHLPA) and RBC today announced that RBC Play Hockey ambassadors Steven Stamkos and P.K. 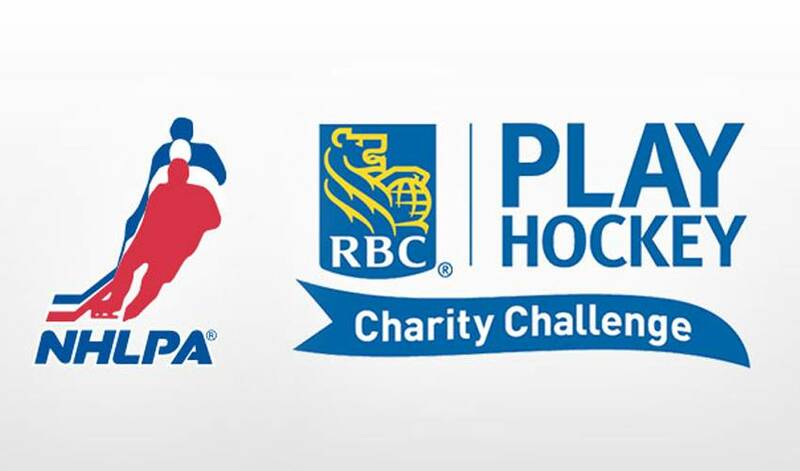 Subban will lead teams of fellow NHL players in the RBC Play Hockey Charity Challenge on Wednesday, December 19, 2012 at 7:00 p.m. at the Mattamy Athletic Centre in Toronto. The venue features an NHL-sized rink that is part of Ryerson University's state-of-the-art sports facility, site of the former Maple Leaf Gardens. Two-time NHL leading goal-scorer and two-time NHL All-Star Steven Stamkos, and two-time World Junior Championship gold medallist and 2010-11 NHL All-Rookie Team member P.K. Subban will be joined on the ice by more than 30 NHLPA members for a 5-on-5, 60-minute game. The players scheduled to participate include Dion Phaneuf, Phil Kessel, James Neal, Tomas Kaberle, Mike Komisarek, Logan Couture, Kris Versteeg, Niklas Kronwall and John Michael Liles. Complete Team Stamkos and Team Subban rosters will be announced in the coming days. "The RBC Play Hockey Charity Challenge is a great opportunity to share the joy and excitement of hockey with our fans. I’m looking forward to playing alongside this impressive lineup of fellow NHL players while helping to raise funds to benefit local hockey programs across the country,” said Steven Stamkos, RBC Play Hockey ambassador and NHLPA member. "RBC is committed to helping hockey happen, at every level and in every community across North America and I’m proud to partner with them and bring this event to Toronto." The NHLPA Goals & Dreams fund is the largest grassroots hockey assistance program in the world. Founded in 1999, NHLPA Goals & Dreams has contributed over $21 million to grassroots hockey programs and related causes in more than 30 countries. Through the donation of equipment grants, the program has given more than 60,000 deserving children the opportunity to play hockey and benefit from the sport’s commitment to teamwork, discipline and physical fitness. For more information, visit NHLPA.com. RBC Play Hockey is one of the largest corporately funded hockey programs that supports grassroots hockey in communities across North America. To date, RBC has provided more than $1,500,000 in grants to over 120 hockey programs – ranging from learn-to-skate, ball hockey and equipment-sharing programs to reduced registration, access to ice and hockey clinic initiatives. As a premier partner of Hockey Canada and USA Hockey, RBC is an official sponsor of each country's men's and women's national teams, the 2013 IIHF World Junior Championship, and Canada's National Junior A Championship - the RBC Cup. For more information, visit rbcplayhockey.com, follow us on Twitter @RBCPlayHockey or on Facebook www.facebook.com/rbcplayhockey.